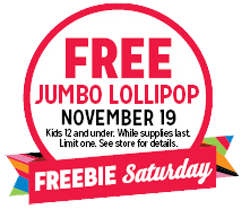 Kmart is offering a FREE Jumbo Lollipop at Kmart to Kids (age 12 and under) on Saturday, November 19, 2016! 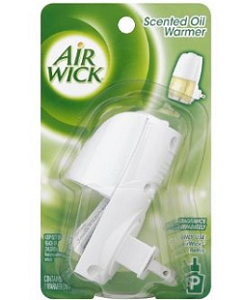 Walmart and Target have the Air Wick Scented Oil Warmers for $0.94 plus there is a $1 off any 1 Air Wick Scented Oil Warmer Printable Coupon making these FREE after the coupon! Calling all Kmart shoppers! If you haven’t already, download the free Kmart app for Android or IOS, set up your account, and then go to the home page of the app and scroll down to the “Friday fix” section. Once you click this section, you should be able to load a coupon valid for FREE Whiskas Temptations Mix Ups Cat Treats 3oz Bag (expires Sunday, July 31st). To redeem at your local Kmart, just have your cashier scan the coupon at checkout. To get FREE Xtra Laundry Detergent 75 oz at Kmart download the app then scroll down and click the “Friday fix” section to get a coupon for FREE Xtra Laundry Detergent 75 oz . Kmart has there Duch oven on sale for $29.99 normally $59.99 and you get $20.00 in rewards points back when you buy it! Making it $9.99 after rewards points! This is a steal if you haven’t cooked with a Duch oven before now a your chance. Ditch the crock pot and cook the same rhibfa faster and have them be tastier.